Guitars and banjos have a lot of similarities as far as musical instruments go, but they also have their differences. So, when it comes to browsing guitar straps and banjo straps, is there much of a difference? You might wonder if you can mix and match and use one for the other. Well, we’re here to answer that question once and for all and help you decide which one you should buy. What’s the difference between guitar and banjo straps? The short answer is that there isn’t much of a difference, or at least not in the strap itself. 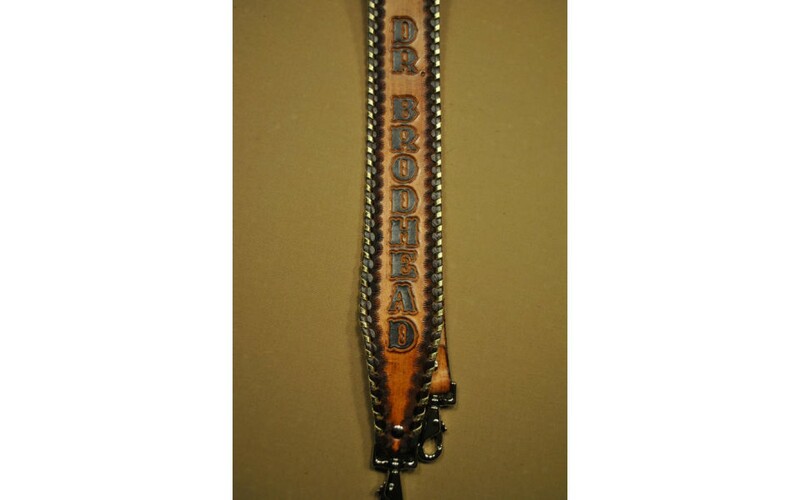 Take a look at our Pride and Glory leather banjo strap as an example. The leather portion of the strap is the same as our standard leather guitar strap, both two and a half inches wide and made from the same quality leather. The difference is in how the strap connects to the instrument. The guitar strap simply features pin holes at each end of the strap, which can be secured onto the pins at either end of the body of your guitar. The banjo strap, on the other hand, features lobster claw clips at either end, which you can connect to the bracket hooks around the body of your banjo. In many cases, you will be able to use a standard guitar strap for your banjo with some adjustments. The pin holes are not designed to be connected to banjos, but you may be able to purchase a clip and connect it through the pin hole. You could buy a lobster claw clip like the ones we use for our banjo straps, or you might have one lying around on an old keyring. This option could work well if you can’t find a banjo strap where you live, but it may not be as secure as buying a dedicated banjo strap. The way that most banjo straps are designed will mean that they cannot be used on guitars, but there is plenty of choice when looking for guitar straps as it is a more commonly played instrument compared to the banjo. 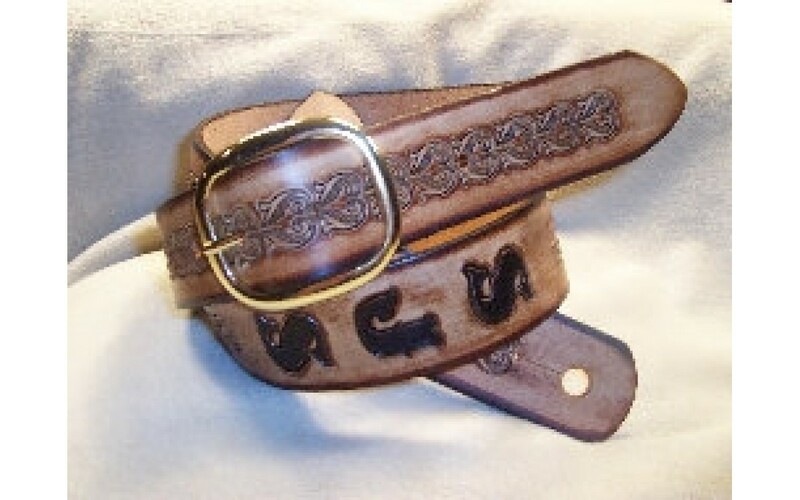 Looking to buy a leather guitar or banjo strap? 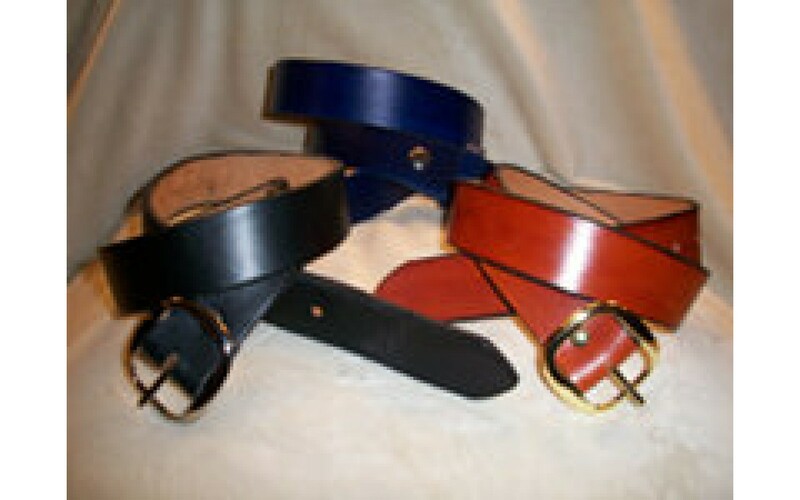 We have a range of customizable leather straps for sale on American Custom Leather, available for delivery nationwide. Get in touch if you have any more questions about choosing a leather strap for your instrument. Are Leather Belts Worth the Price?